The debate about whether or not the Florida state legislature should lift the nearly three decade old offshore oil exploration and drilling moratorium has been heating up lately, and has been fueled by a series of symposiums organized by both the media and the industry over the past few weeks. The skirmishes between environmentalists and the oil industry hinge on one major question: what are the risks if Florida allows drilling as close as 3 miles to its world class beaches? So-called industry “experts” have made quite a few claims about the technological safety, absence of documented spills, and job creation and economic stimulation that drilling could bring. But are these claims well-founded, or are they cleverly phrased propaganda to win over the Florida public, which has a strong history of opposition to drilling on their beaches? The pro-drilling group Florida Energy Associates claims that Florida will increase its revenue by $2.25 billion in royalties annually by opening up its coastal waters to drilling. That figure is based partly on their assumption that companies will be pumping 150 million barrels of oil annually. However, according to Florida Department of Environmental Protection Secretary Michael Sole, states which already allow drilling are producing much less than is claimed exists in Florida’s coastal waters. Louisiana produces just 6 million barrels of oil annually. And Texas, which has the most relaxed drilling policies in the nation, produces just 2 million barrels annually from its state waters. Even including state revenues from natural gas, it nets on average about $45 million a year. That would be quite a leap to assume Florida could be producing 150 million barrels annually. What about the industry claim that environmental concern about spills amounts to “fear mongering”? 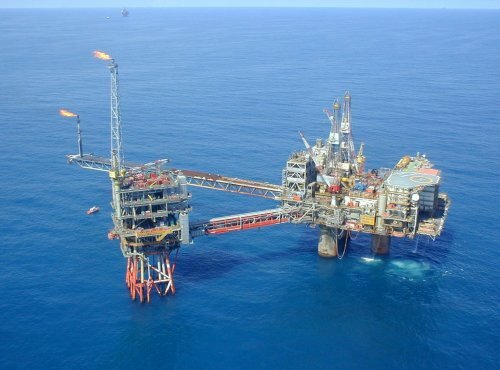 100 miles north of the Australian coast in the Timor Sea, a rig touted for its modern technology and environmental safety has been spilling anywhere from 400 to 2,000 barrels of oil a day for nearly 11 weeks; enough oil to cover nearly 6,000 square miles of ocean. Five attempts by experts have been attempted to seal the leak to no avail. The company that owns the rig, Seadrill, is among those lining up to drill within 3 miles of Florida’s coast if the moratorium is lifted. This could spell devastation for Florida’s beaches, which are not only known for their beauty and diversity of marine life, but also for the near $65 billion tourist dollars that they bring in annually. Fortunately for the state of Florida, decision-makers on both sides of the aisle remain skeptical of claims by the oil and gas industry and are taking plenty of time to consider all sides of the issue. Hopefully, that time will be well spent in weighing bogus industry claims against the reality of state revenue loss from tourism and inevitable environmental clean up costs.